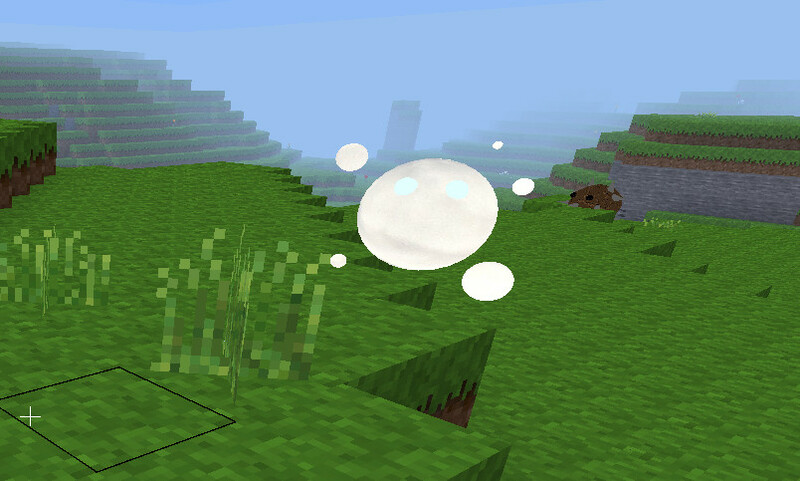 Here we present you our revised and extended mod with the topic "Fantasy". 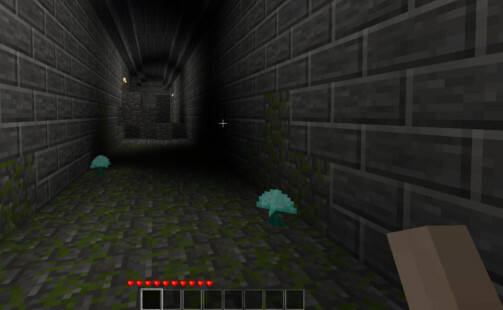 There are already several dungeons, new magic plants, a potions system and a ritual system. We are still working on this server. Please give us feedback, so that we can consider your advices. + Where I can find dungeons? You can find dungeons all over the world! You recognize them by a tower. Once you entered the tower you can take the stairs down into a huge dungeon, where you can find magic mushrooms and treasures with exclusive loot. 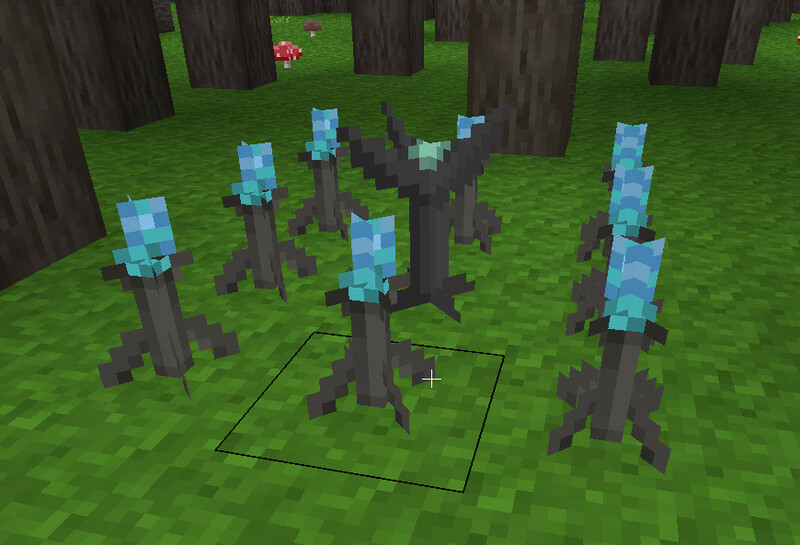 We are planning to add mobs and puzzles in future versions. 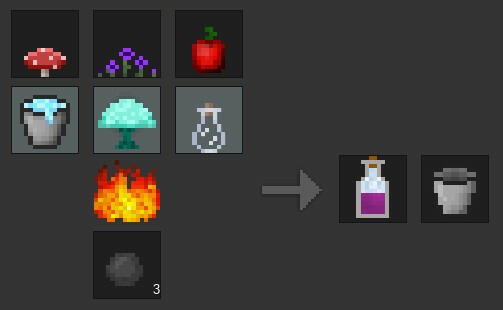 + How can I brew potions? 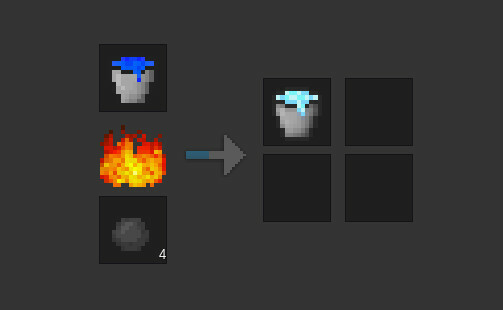 How to craft a pot. 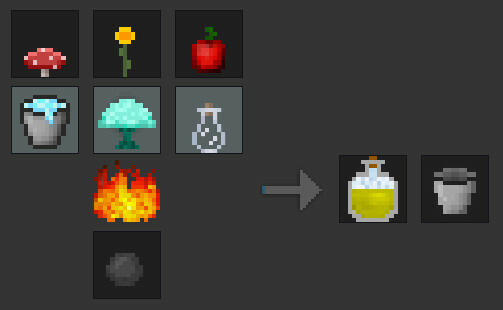 In this pot you can craft the potions. 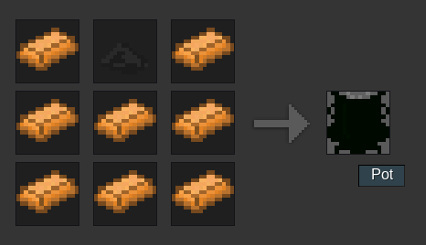 You need 8 copper ingots and 1 black dye. + How can I start a ritual? 1) The ritual staff: You need magic crystals for this one (the crystal in the middel above). 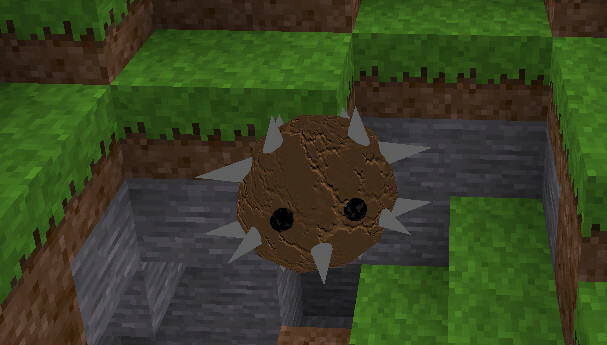 It's a new ore/stone-type. 2) The ritual platform: You need magic crystals for this one, too. You have to put the things you want to transform on the platform. Look at 3) for more informations about transformation of objects. There are 3 different types of rituals. 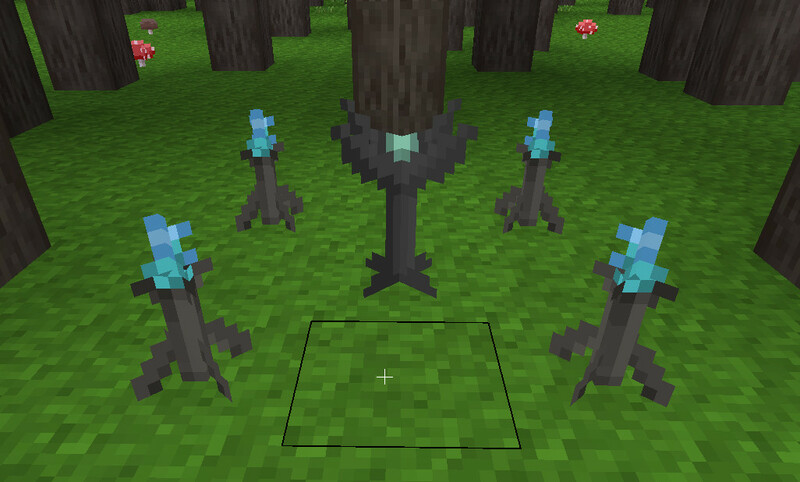 The ritual torches have to be placed the right way. Things you can transform with a ritual: Stoneblock, Coalblock, Straw, Obsidian, Goldblock, Red Mushroom, Torch, Sand, white wool. But you have to find out by yourself, which ritual type you need for which things. 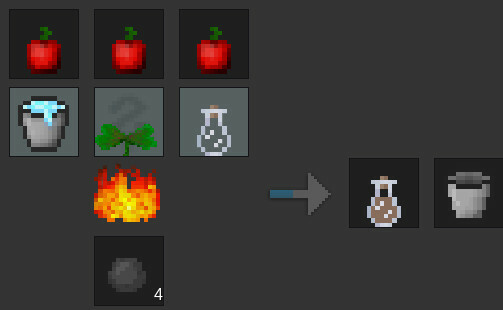 ;) We will add more items in future and place the recipes in the game. we also added a giant glant (bean-poles) with special behavior in growth. If you can find a beanpole that has grown out you should be able to find a flower with gold, seeds and a magic crystal on top, but strangely it is not breakable sometimes (could not yet figure out why). It seems there is something interesting here :) The mod looks like nice on the description. I`ll look at the server some day. We would be very glad to hear some feedback from you after playing on the server. We are still learning and want to become better and better! Not sure if its added already but i suggest adding unified_inventory. Stix wrote: Not sure if its added already but i suggest adding unified_inventory. Yes ik that this is meant to bring players a whole new and unique experience. 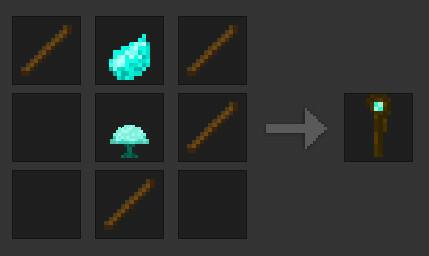 But some mods improve usability so much that they should be included, and that's why i suggested unified_inventory. Just a personal criticism but i don't like the sound of "clean water" that much, and suggest using the title "purified water" instead as it better describes the item and is much more pleasing to hear. rubenwardy wrote: Unified inventory is terrible. Quoted for emphasis and agreement. 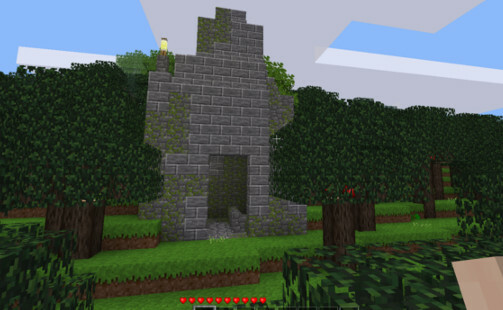 I like a towers that built from cobblestone and also underground corridirs where player needs to find violet mushrooms. The mod is really nice. 1. 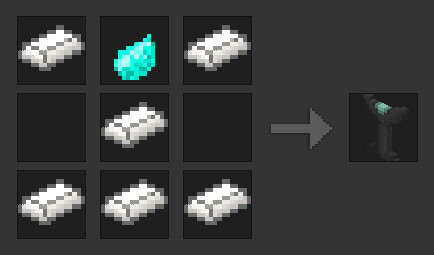 No crafting guide. It would enable to players to learn about what stuff the server has and how to get them that is considered very necessary for my point. 2. No protection. 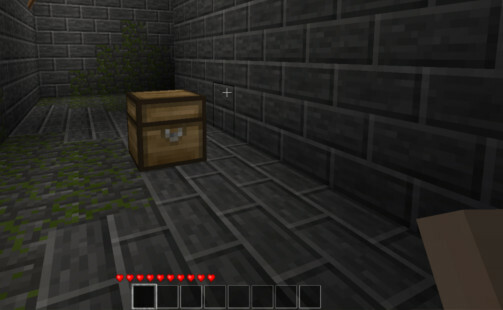 It is also very important as any player can not protect his house without it in griefing case. Most servers use it. 3. No HUD hunger and armor. It is less important, but i would advise to use it as the mods look like cool themselves. Together with them the game would be more interesting. 4. No furniture. I would also advise to use something like Homedecor or Ma & and Pop`s Furniture mods. 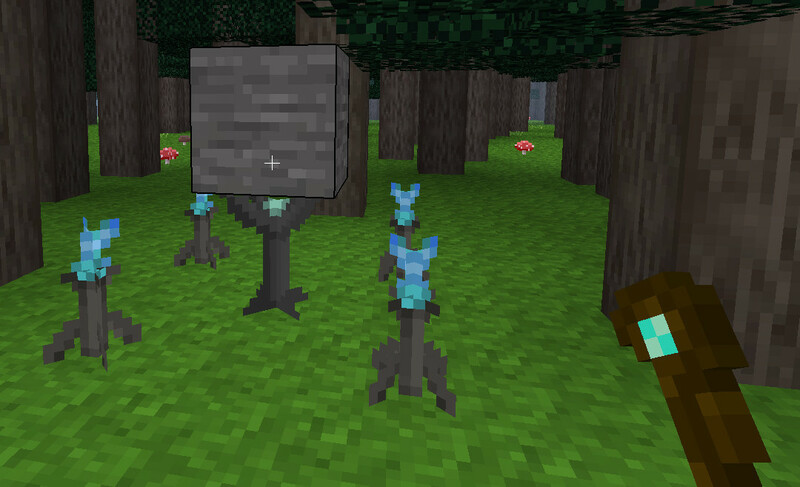 It would enable to player to furnish and decorate their houses. Without any mods they would look like poor. And 5. No trees. Why? There are only fields with bushes here and i did not find out any tree. Hi Andrey, thanks a lot for your feedback! Of course there is still a lot to do, and some important things are missing. 1. The crafting guide is currently in progress (together with background story)...totally agree, that this is the most important todo right now. Andrey01 wrote: And 5. No trees. Why? There are only fields with bushes here and i did not find out any tree. Also, could you add Advanced Trains viewtopic.php?f=11&t=14726, Caverealms viewtopic.php?f=11&t=18413, Mobs Redo viewtopic.php?f=11&t=9917 , Farming Redo viewtopic.php?f=11&t=9019 and Vehicles viewtopic.php?f=9&t=15610&hilit=vehicles mods? How do I add guide and skin selection to sinv? All I see is a craft grid. Kenzo and MissDejavu, i`ve noticed you have added areas mod. But it seems nobody can protect something as players don`t have a priviliege for it. What to do? 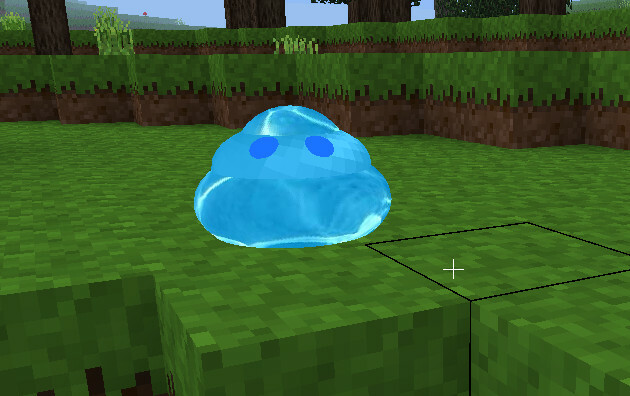 Yes, I added it to protect the spawn... but we are not yet sure if we want to add this protection thing in general. I understand why people like it but on the other hand I don't really like the idea of having lots of assigned pieces of land. What about some magic-related protection; like a magic cauldron that has to be maintained? MissDejavu wrote: Yes, I added it to protect the spawn... but we are not yet sure if we want to add this protection thing in general. I understand why people like it but on the other hand I don't really like the idea of having lots of assigned pieces of land. But it is really necessary. Then just there is no any mind to build something there because 99% it will be broken soon. BTW, a house that i built a few days ago was destroyed next day at once. I see.. it's a bit sad that this is really necessary because some people are so destructive. Stix wrote: What about some magic-related protection; like a magic cauldron that has to be maintained? This sounds like a good compromise! 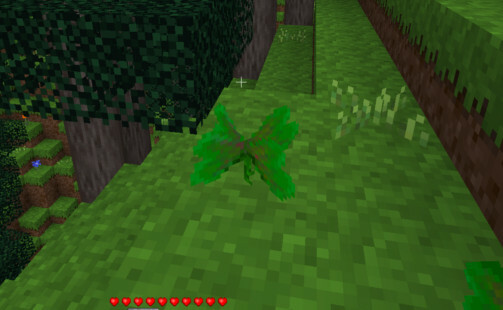 :) Do you know if there already exists a mod with that or similar functionality? Last edited by MissDejavu on Mon Jul 16, 2018 09:27, edited 1 time in total. MissDejavu, and then add Unified Inventory. It is just necessary, too! Thank you very much for your great feedback yet! We are looking forward to hear more from you! We try to take your advice into account. Just take a look at the following screenshots for some insights! 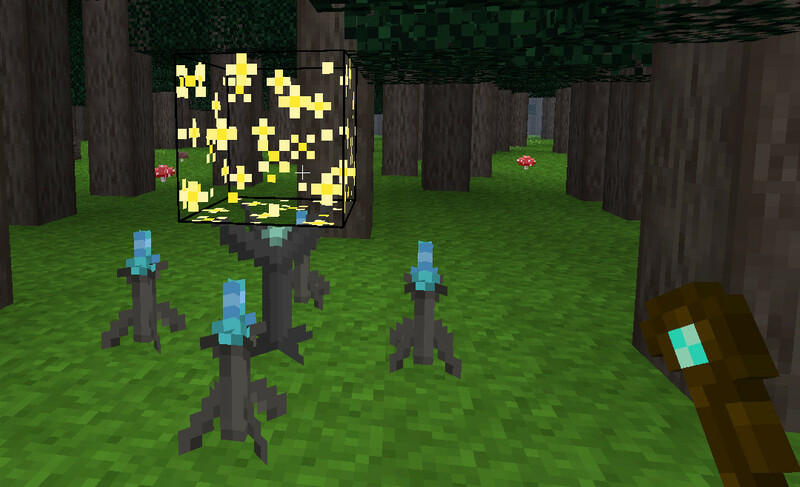 We added some new mobs to our fantasy related server. They are elemental ghosts/creatures, which will have the ability to develop to other elements because of their surroundings or feelings in future versions. They dont have a intelligence right now (some of them can evolve to other mobs) and they cannot fight right now, but you can fight them. We are still working on them! 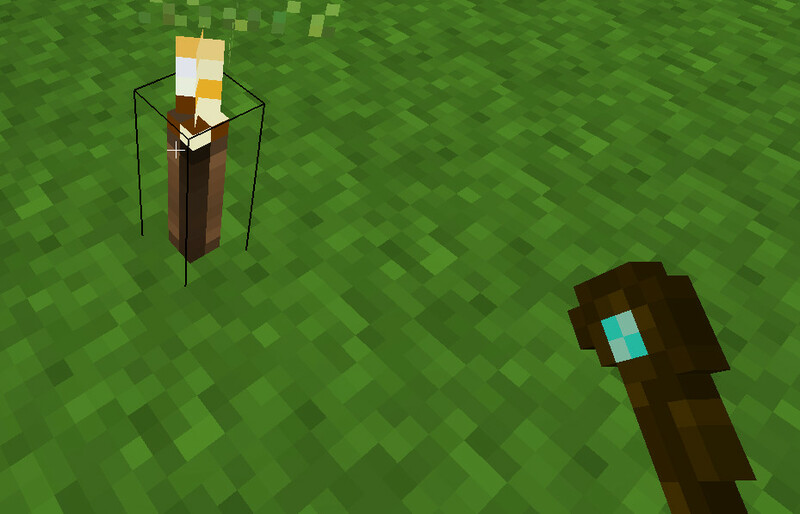 We used the Simple Mobs-Mod of PilzAdam as a basis. 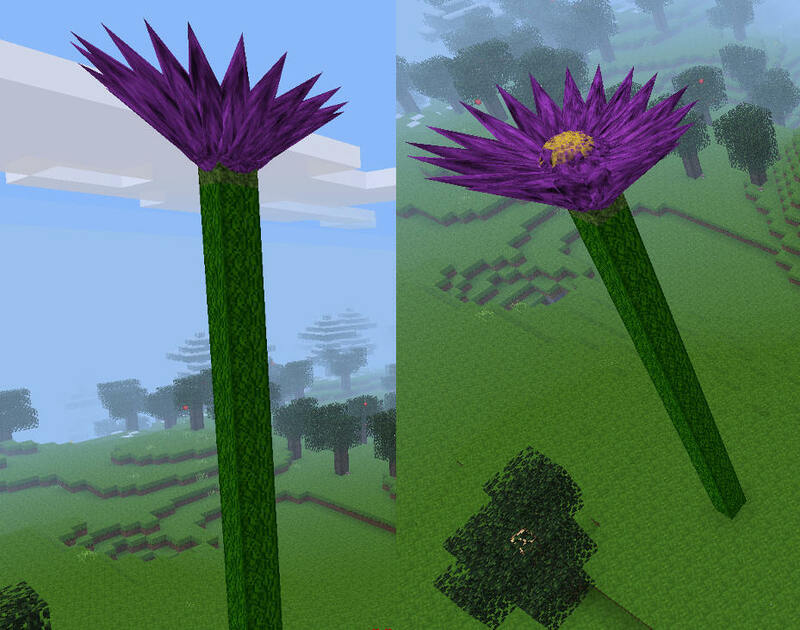 And we made a 3d-model for our giant plant! 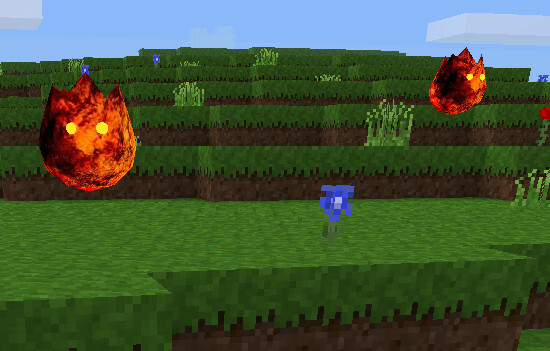 - How should the mobs behave? - How much of them should appear in the world and where? - Would you like to have a bigger mob, like a boss-mob? - Do you have any ideas, which would enhance our concept? We are happy to hear your feedback, because it helps us to understand what is important for you as an user.